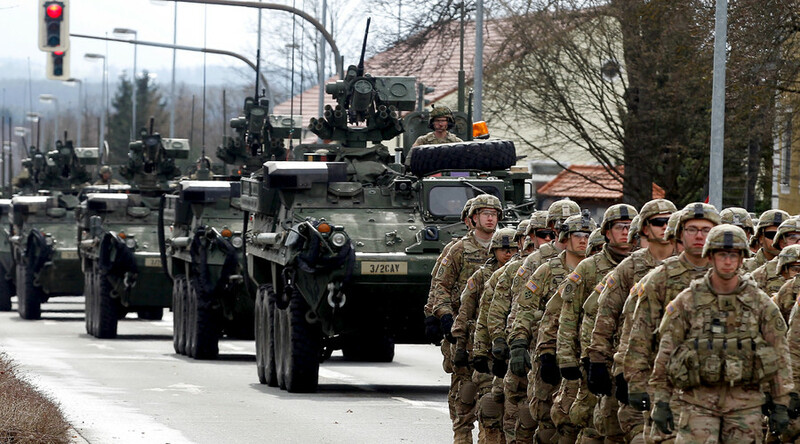 The US Army will deploy nearly 6,000 troops, along with tanks, infantry vehicles, heavy howitzers, and combat helicopters to step up its “armored presence” in Eastern Europe, where a massive NATO buildup to counter an “assertive” Russia is underway. The 3rd Armored Brigade Combat Team (3rd ABCT) of the Colorado-based 4th Infantry Division will deploy 4,000 soldiers in the region in January of next year, the US Army said in a press release. In addition, the Army will send more than half of the New York-based 10th Combat Aviation Brigade, comprising 1,750 airmen, along with 60 aircraft, including CH-47 Chinooks, UH-60 Blackhawks, and medevac helicopters, according to Stars and Stripes. Both units will be part of Operation Atlantic Resolve, the US-led buildup on Russia’s borders whose stated goal is “reassuring” America’s Eastern European allies, which claim to perceive a threat from Russia. The 3rd ABCT is said to be the first “rotation” armored brigade that will be deployed in Europe. It will first arrive in Poland, where the brigade’s headquarters will be set up, along with an armored cavalry unit and a field artillery battalion wielding self-propelled M109 Paladin howitzers. Other brigade elements will spread across the region, Army Lieutenant Colonel Jason Brown, a 4th Infantry Division spokesman, told the newspaper. One battalion with M1 Abrams tanks will be stationed in Estonia and Latvia, while another will operate in Germany. A mechanized infantry battalion with M2 Bradley infantry fighting vehicles and M1 Abrams tanks will move to Romania and Bulgaria. 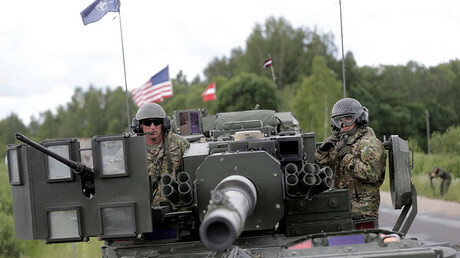 “I am confident we are the right heavy brigade to continue the armored presence in Europe,” Colonel Christopher R. Norrie, commander of the 3rd Armored Brigade, said on Thursday. In the meantime, the 10th aviation brigade is expected to be headquartered in Germany, while its units will be forward-based at undisclosed locations in Latvia, Romania, and Poland, Stars and Stripes reported. This is the latest in a series of recent US and NATO-led deployments in the Baltic states and Eastern Europe. Earlier, the bloc sent up to 4,000 troops to the region as part of a multinational unit that includes US, German, British, and Canadian battalions. Norway, a Nordic country bordering Russia in the north, will see a “limited rotational force” of approximately 330 Marines deploying at the Vaernes military base in January of 2017. In the Black Sea, the US and NATO maintain a naval task force, along with Aegis Ashore ballistic missile defense sites in Romania that became operational earlier this year. The second missile defense compound is expected to go online in Poland next year. The heavy buildup appears perfectly fit the current mood of Western policymakers. On Thursday, Anders Fogh Rasmussen, NATO’s former Secretary General, openly called upon the US to be “a world policeman to restore international law and order,” while criticizing the Obama administration for its reluctance to employ military forces overseas. Russia has consistently said it will take reciprocal measures to counter the security threats emerging on its western borders, which will include forming new army units and accelerating the modernization of its military.